Two Saturdays ago the world thought it was getting another fun, easy-going song from Donald Glover’s alter-ego Childish Gambino. Instead, it got something it needed far more. 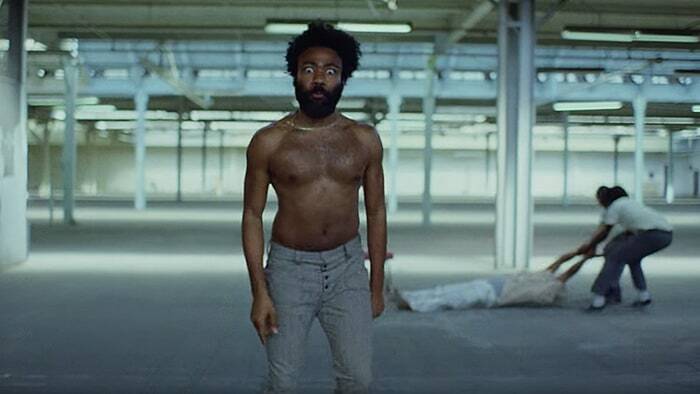 This is America demands attention and deeper reflection from fans and even those who are new to Glover’s music. The audience is immediately drawn in by Glover dancing to a groovy Afro-Caribbean beat. But the mood quickly shifts when he pulls a gun to the head of another man and shoots. In that moment you realize, this isn’t so much a music video as it is a statement. You could watch This is America once and get a pretty clear sense of themes of violence and systematic racism. You’d see a few shootings that would make you cringe, but your focus would mostly be on Glover and some school children dancing. You could also watch it a second time and look past Glover’s charismatic dancing and get an even clearer picture, not just metaphorically, although there is a lot of symbolism behind much of what he does. But you need to literally look behind Glover. This time you will see riots, suicide and destruction. Viewers have pointed out ties to Jim Crow seen in the way Glover contorts his body and similarities in the man shot to Trayvon Martin’s father. Even the choir that Glover shoots brings forth images of the shooting in Charleston, South Carolina at the Emanuel African Methodist Episcopal Church. Despite the minor criticism, Lott believes it still shed light on issues in America. “His millions of views are raising awareness and is more than what most rappers do with their platform,” he said. Besides racism, another theme the video addresses is gun violence, which seems right on time in the midst of school shootings appearing in the news regularly. “The thing that stood out to me the most was how careful people were with their guns after Gambino shot them as opposed to how careless they were with the bodies afterward,” Brown said. No matter how you feel about Glover’s method of communication, it does make a strong statement and requires conversation about its themes. “It [this video] helps to put in perspective everything going on. I think it can be kind of easy to brush things to the side without realizing who it has an impact on,” Hardman said.